From the door step of your B&B Suite or Cottage Vacation Rental, it is only a short walk to Brennecke’s Beach and world famous Poipu Beach Park. Only a block down the road you will find great dining, a deli, activities, and shopping. Poipu Plantation Resort provides the ideal combination of a convenient location and an ‘off-the-beaten-path’ Hawaiian feel. The facility abounds with exotic tropical flowers, fresh fruit trees, song birds, and the sweet scents of Hawaii. At Poipu Plantation Resort, you can enjoy a peaceful vacation away from the noise of traffic, tour buses and the crowds of larger resorts. Our wonderful quiet beach neighborhood is ideal for walks to the sea shore or viewing the spectacular Kauai sunsets and the bright stars in our clear, tropical night skies. Only 200 yards away, you will find the blue Pacific and the east end of Brennecke’s Beach, and Poipu Beach Park. There are many safe and fun places to play surrounding this large, well kept beach park where you can swim or snorkel, see the endangered Green Sea Turtles and an occasional Monk Seal, or just wade in the children’s pool at the day’s end and watch a gorgeous Poipu sunset. If you decide to spend the day at the park, you will be happy to find rest rooms, showers, covered pavilions, and picnic tables. Ocean gear may be rented across from the beach park in a small commercial area that has a deli, a restaurant, and a surf – oriented gift shop and equipment rentals. Poipu is a quaint, affluent beach community that is known for almost perfect weather, friendly people, and a succession of several small idyllic, clean and safe beaches. Seasoned visitors to Hawaii often settle on Poipu as their regular vacation destination because the area is simply the best overall that you will find anywhere. Perhaps you will find that the finest thing about lovely Poipu Beach is that, as a guest of Poipu Plantation, this lovely set of crescent beaches and Lava rock tide pools are only steps from your front door! Poipu is a ideal central location for enjoying our entire island. 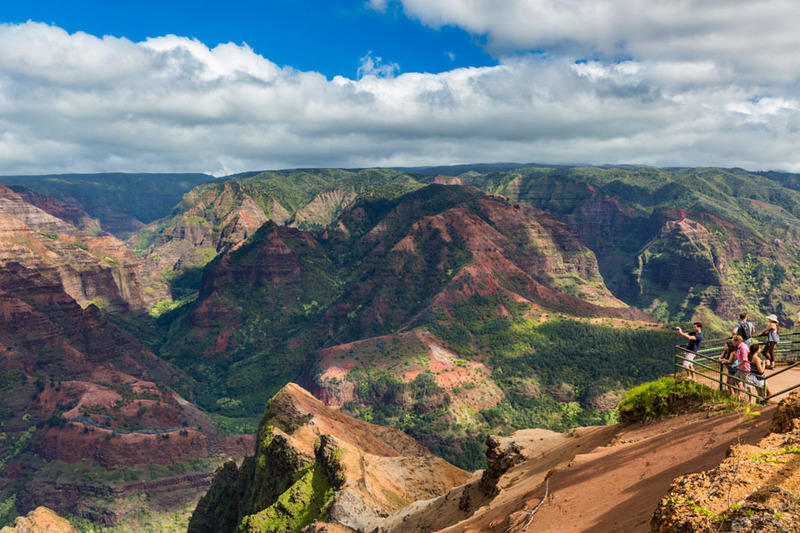 The drive west to the Waimea Canyon and Koke’e State Park is 1 1/2 hours and to our North past Hanalei at Ke’e Beach is 2 hours. A few minute drive from Poipu Plantation will bring you to Championship golf courses, botanical gardens, tennis courts, horse back riding, scuba diving, and sailing. Two historical trails are organized here as well for miles of interesting exploration to Historic Koloa Town or to the remote Mahaulepu Beach. Humpback Whale watching in our winter months can be enjoyed from the coastline fronting our neighborhood or on the beach and your shopping can be done at the Poipu Shopping Village, various local crafters at Spouting Horn or in our nearby Koloa Town where numerous fun shops and full service grocery may be found.